Most say this is one of the easy stocks to lay down behind and get that comfortable fit and feel. After 6 years of research and development, the legend Terry Cross has developed the KMW Sentinel stock. 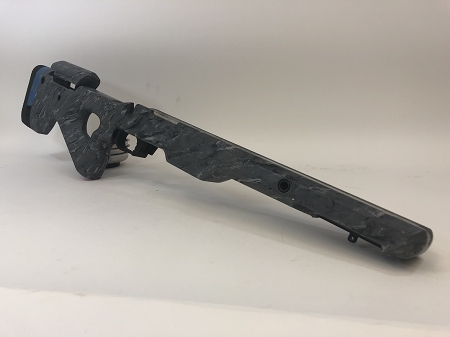 The Sentinel stock is one of a kind, the design was compiled from ideas from competitive tactical shooters and law enforcement professionals all in a joint effort to create a better system. This stock truly is one of the most innovative out on the market today. KMW LoggerHead adj. cheek piece. SENTINEL Detachable Box Magazine system/No Magazine included. KMW adjustable Length of Pull system includes Pachmayr D550 pad and 3 spacers. 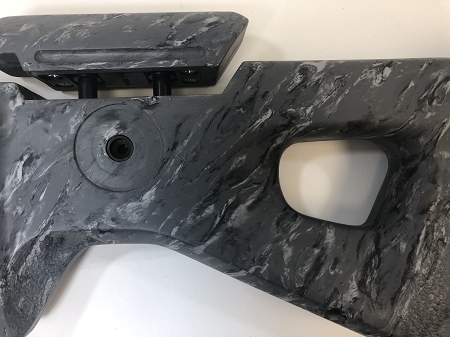 Convertible front interface for bipod. 5 flush cup sling hardpoints with new Gen II Limited Rotation feature.